« Swim like Sun Yang ‘in your dreams.’ No, Really! I like the phrase ‘steal back’ time since it infers cunning, which I encourage all swimmers to exploit before physical effort in efforts to improve time or performance. Since Andy mentions achieving a personal best time with the aid of a Tempo Trainer (combined with a consistent SPL) on his timed 1500, I’ll mention that a relatively simple way to swim faster is to allow yourself a standard 5 beeps per turn -whether for open or flip turns. Start counting beeps after the final hand entry approaching the wall. Then synchronize your first hand entry leaving the wall with the 5th beep. (This becomes #1 in your stroke count for the new length.) 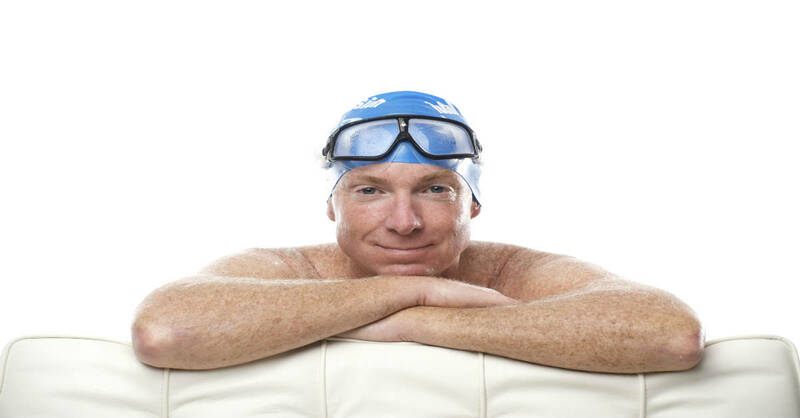 To avoid raising your SPL (in the case of Andy’s swim every lap at 19SPL would have added 1.2 seconds to his final time) you need to take that first stroke as far down the pool as practicable. On each pushoff I aim to surface and stroke beyond the backstroke flag that are suspended 5 yards (in 25y pools) or meters (25m pools) from each wall. At a tempo of 1.3 or slower I usually have enough time to travel far enough in streamline that my feet are beyond the backstroke flags as I surface. At a tempo faster than 1.3 I’m still aiming to have my hips beyond the flags. This becomes quite a challenge at .99 or faster. This protocol is great for ‘wiring in’ fast and efficient turns. If Andy progresses from a tempo of 1.2 to 1.1, he’ll need to take each stroke a tenth of a second faster. But he’ll have to make each turn a half second (5 beeps x .1 second) faster. I appreciate your interest in that DVD. We are steadily adding product to the TI Digital Store. http://shop.tiswim.net/us/ I see that there is an ebook version – with embedded video — of that title. What does SPL stand for? Oh…and is there a devise that we can buy that we hear or feel these beeps? I find that pulling straight threw works better because you don’t lose out on your pull. I also find that if you stay on your side more coming off the wall you can get farther because their is less drag. What do you mean when your talking about the beeps.